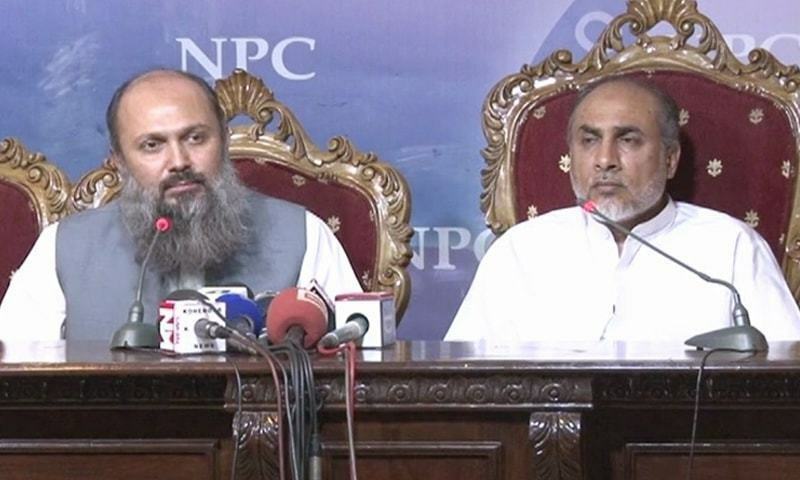 The unstable political atmosphere of Balochistan has delivered another blow to the ruling Pakistan Muslim League-Nawaz (PML-N) as three of its MNAs from Balochistan on Thursday resigned from the party and said that they are set to join the newly-formed Balochistan Awami Party (BAP). In a joint presser in Islamabad, Khalid Magsi, Jam Kamal and Mir Dostain Khan Domki said that they have tendered their resignations to the ruling party and will officially become a part of the BAP in the upcoming days. “We learned a lot in these five years. Balochistan’s interests are not cared for in big parties. Our constituency did not get anything either. The party’s provincial leadership imposed hardships on us. We and Balochistan have been hurt a lot,” he went on to say. “We informed Nawaz Sharif and Prime Minister Shahid Khaqan Abbasi multiples times but no one paid any attention to our problems,” he added. “We were also not consulted for Senate candidates from Balochistan. For us to survive in such an environment was difficult,” he added. The trio said they plan on joining BAP, with an official confirmation to come in a presser in the next few days.